Nutella chocolate cake is a quick and easy dessert to prepare. It’s soft, fluffy and slightly moist. You can make it for a birthday party, to bring to work, to eat with friends or as a tasty treat for children. It’s so easy to make and such a delight to savor. There are many different ways of preparing it, so let us start with the classic way and then discover different ways to modify it, making it perfect for any occasion. In a mixer (or even a bowl using an electric beater or whisk) beat the eggs and the sugar for at least 10 minutes. While you continue mixing, slowly add the milk and the Nutella, warmed either in the microwave or a double boiler. When you have finished mixing all the ingredients, add the flour and the baking soda, previously mixed together, one spoonful at a time, pour the mixture into a buttered and floured cake pan ( the cake will double in size, so fill the cake pan only half way up, if you have any leftovers you can cook them in a muffin pan) and bake them for about 50 minutes. Once cooked, let it cool off and add powdered sugar or, like I did, with more Nutella or toasted hazelnuts and serve. I prefer baking the cake in a conventional oven, to avoid the cake drying out or growing unevenly. There are also cake pans that work pretty well for cooking the cakes on the stovetop. If you don’t want to use baking powder, you could even try cooking it in a regular pan! The base of the Nutella cake works great with any kind of baking pan, so have fun by creating a heart shaped cake, if you need ideas for Valentine’s Day or a flower-shaped cake for the spring season. 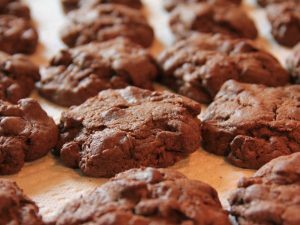 It is great served with a dusting it powdered sugar for a children's Birthday party, or you can cover it in chocolate cream or Nutella for adults. Nutella Bundt cake: an alternative to the marbled Bundt cake, it ‘s a soft dessert perfect to have for breakfast or as a snack and it is made with a vanilla mixture, Nutella, and crushed hazelnut. Nutella roll: a delicious traditional dessert. It is easy to prepare. The base is a biscuit pastry covered with Nutella and hazelnuts and then rolled up. you can add a rocher cream filling, made with Nutella and the traditional vanilla or chocolate custard cream. Nutella and whipped cream cake is very easy to prepare and it is similar to the Kinder Pinguì. A chocolate sponge cake filled with a cream made from one part Nutella and one part whipped cream, mixed together gently until it becomes a very light cream. To prepare a Nutella cake without using butter or eggs, you can substitute milk with water or soy milk, the eggs can be substituted with soy yogurt (1 egg = 60 ml yogurt), and the Nutella with the vegan version you can easily find in supermarkets or homemade by blending hazelnuts, sugar, oil and soy milk following exactly these proportions 6:3:1:4. 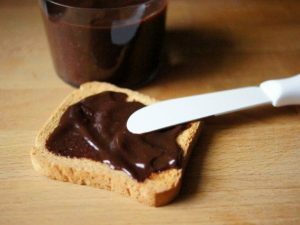 After having obtained a foamy mixture, add the flour with baking powder, add three tablespoons of vegan Nutella and mix it until you obtain a liquid mixture. Line a cake pan with oven paper and pour in the mixture. Bake at a temperature of 180 degrees for 40 minutes. There are two main ways you can make a Nutella cake using the puff pastry. The first one is to create a sort of tart by covering the bottom of a cake pan with puff pastry, fill it with Nutella, cover with more puff pastry, and bake. You can also make a millefoglie pastry by baking the puff pastry alone and alternating layers of puff pastry with layers of Nutella. 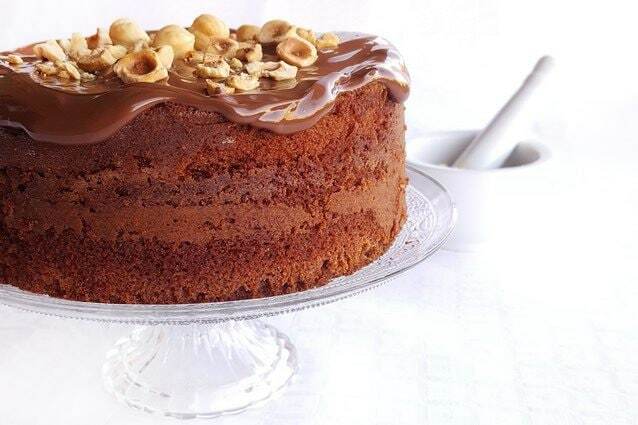 To make a gluten free Nutella cake, you need to substitute the wheat flour with a mix of gluten-free cake flour, but you can also substitute it with rice flour or potato starch (50g starch for every 200 g of rice flour). For the vegan version, you can use soy Nutella. Nutella chocolate cake can be stored (and remain soft and fragrant) for up to 5 days if covered with a bell jar or stored in an airtight container. You can also freeze it, although I personally do this only if I haven’t added the filling and/or garnished because, once I defrost it, I like to heat it in the oven at 180° for a few minutes to eliminate any extra moisture. 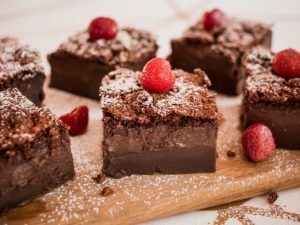 Nutella magic cake: an easy recipe for the best chocolate dessert ever!